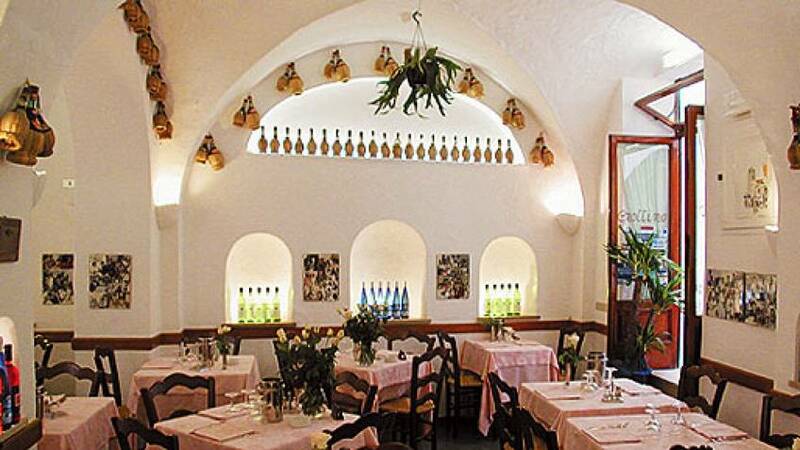 Orari: Lunch from 11:30 a.m. Dinner from 6:30 p.m. 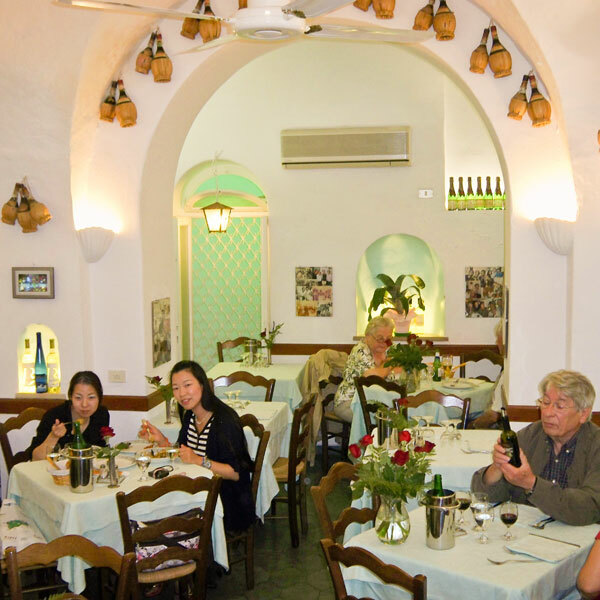 Restaurant Al Grottino enjoys a superb position right in the heart of the historic center of Capri, a mere 30 meters from the famous Piazzetta. 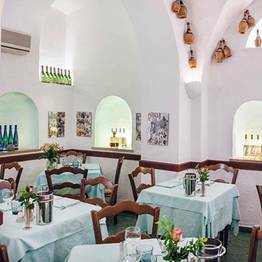 The restaurant occupies part of an ancient 15th century edifice, characterised by the charming arches and cross vaulted ceilings typical of Capri's older buildings. 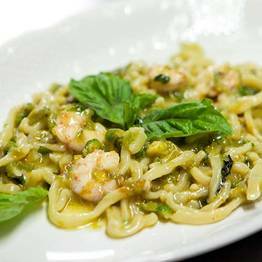 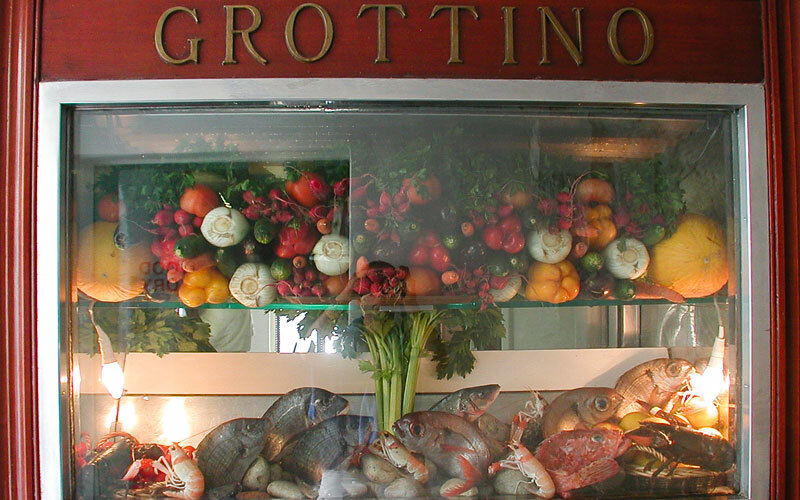 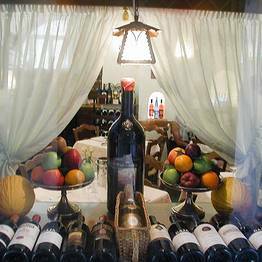 A well established favourite for connoisseurs of good food and wine, Al Grottino is invariably mentioned in all of the most important international annual gastronomic guides. 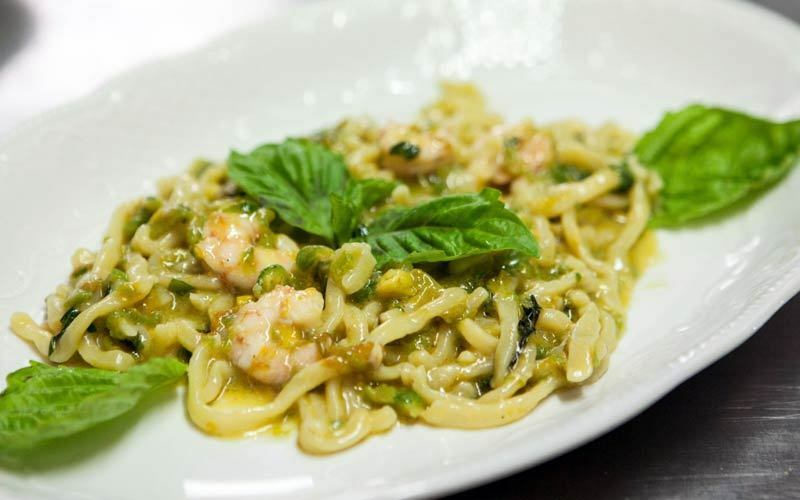 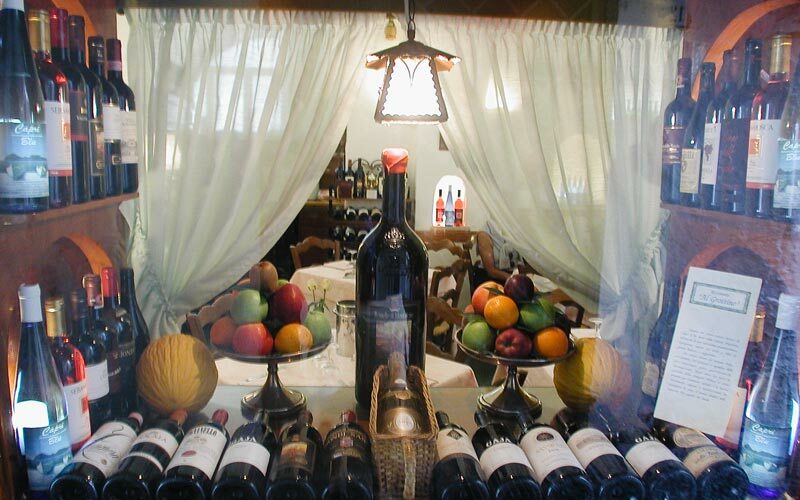 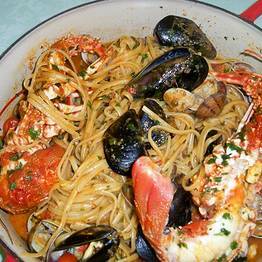 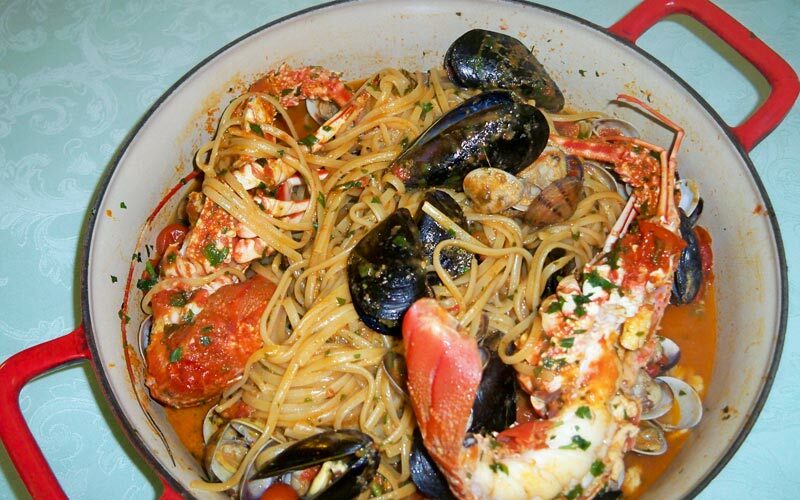 For over 80 years, the Arbace family has been serving excellent local and Neapolitan cuisine and, in particular, the dishes for which Capri has become famous. 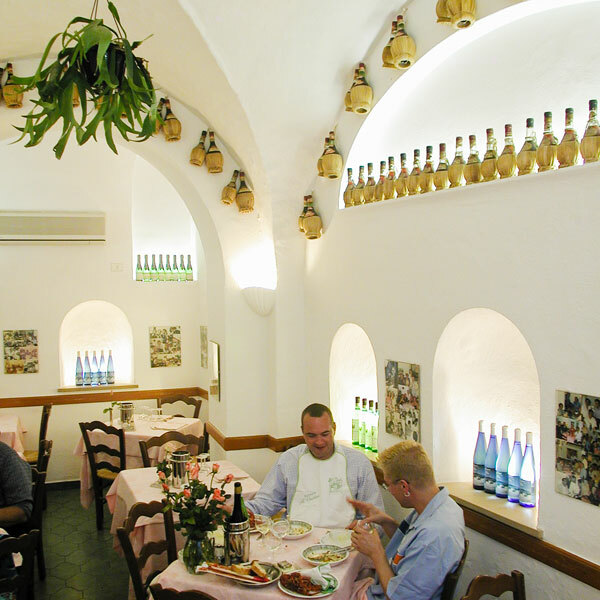 Simply cooked, same-day-fresh ingredients, result in fabulous Mediterranean food, appreciated by a vast and varied clientèle, many of whom can be seen in the photo gallery displayed on the restaurant's walls. 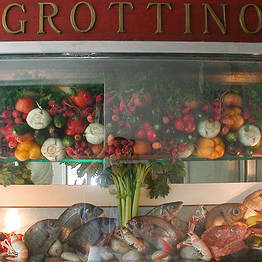 During the warm summer months, it's particularly pleasant to relax over a meal in Il Grottino's air conditioned dining room. 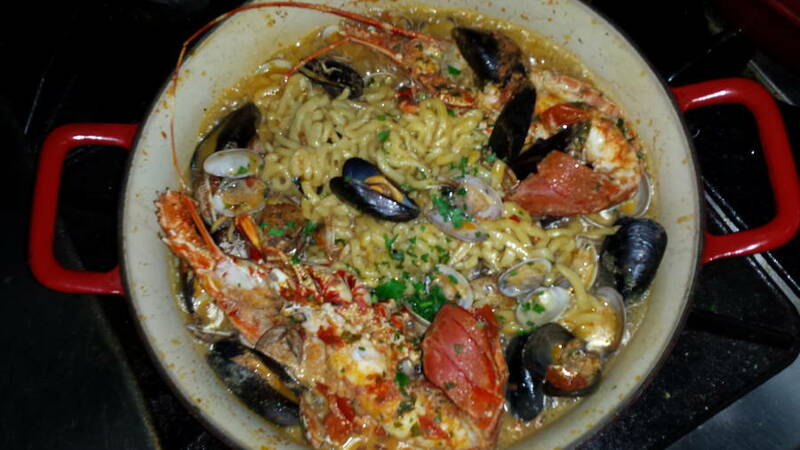 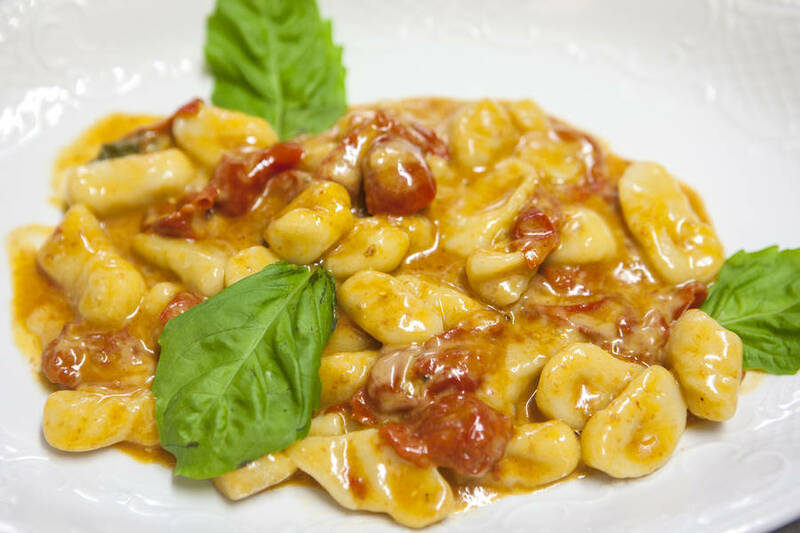 Fresh handmade scialatielli pasta tossed with shellfish and lobster and served in a "cocotte"
A classic, traditional dish of small, handmade gnocchi tossed with cherry tomatoes, fresh mozzarella cheese, and basil. 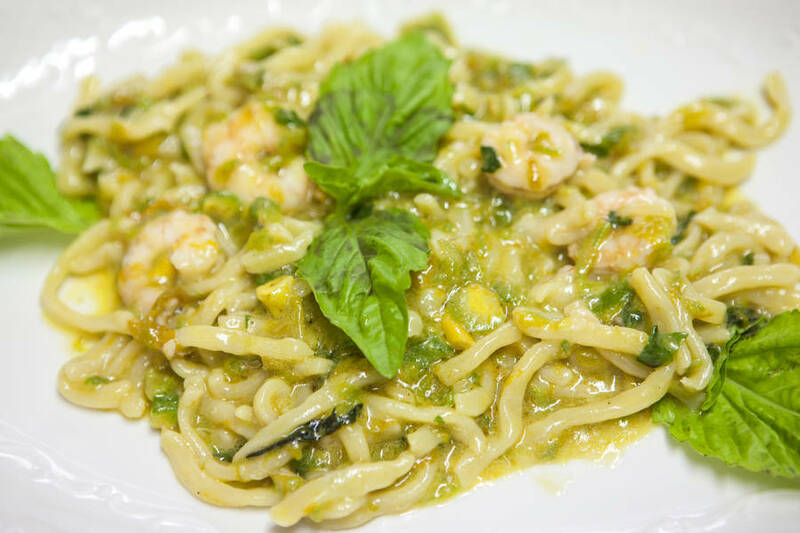 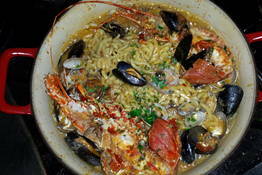 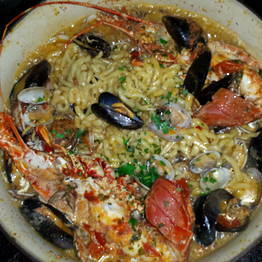 A simple combination highlighting quality local ingredients is the secret to this handmade fresh pasta dish. 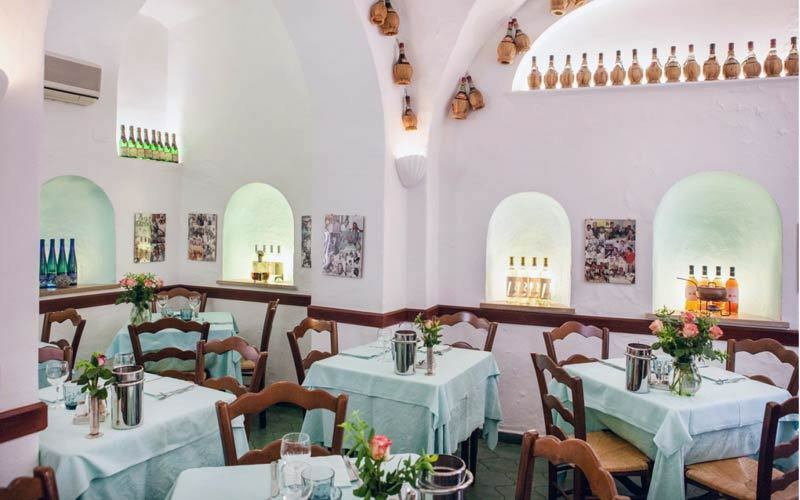 Restaurant Al Grottino is located in the heart of the historic center of Capri, just 50 meters away from the famous Piazzetta, in one of the island's most enchanting little lanes.